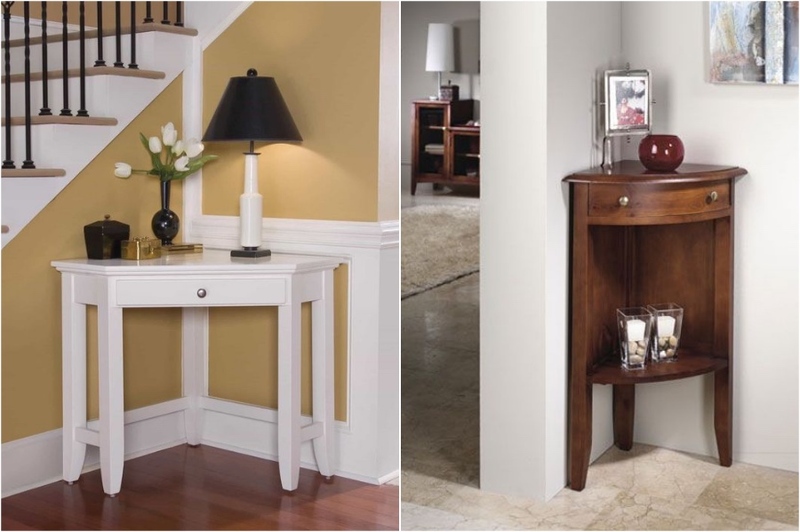 When we furnish our homes we tend to focus on the center of the room a lot. What will go in the middle of the room, in the middle of the wall, etc. We think about couches and shelves above them and TVs that go in the middle of the wall, dining tables and centerpieces. But we rarely think about corners. Best case scenario you just shove stuff in the corner to get it out of the way. But corners can become incredibly useful if you actually bother to pay attention to them and plan them out as useful spaces. 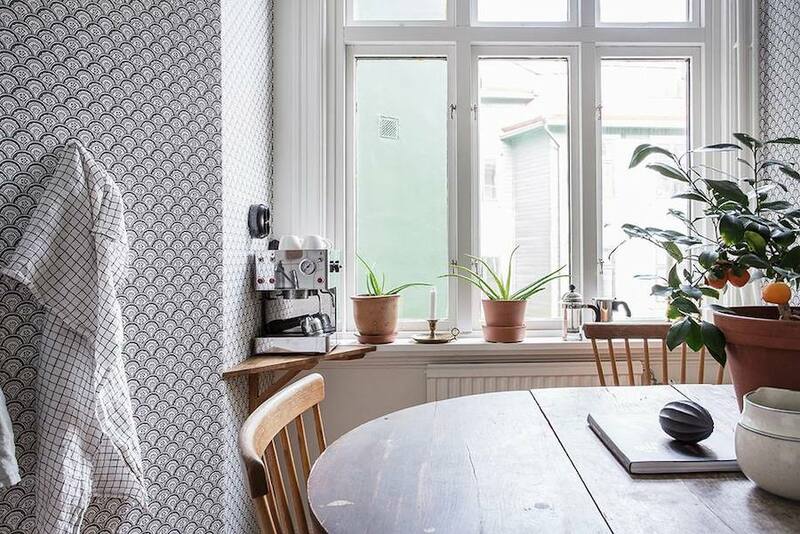 Here are 12 amazing ideas on how you can use your home’s corner space. 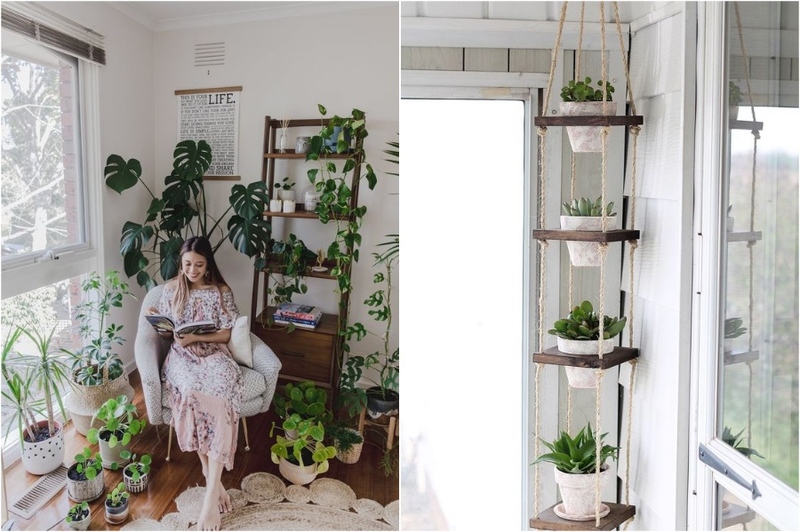 Most people put the majority of their plants on the windowsill, but you can easily store them in the corner next to the window. This way you’re livening up the corner that would otherwise look sad and empty and clearing up space on the windowsill. 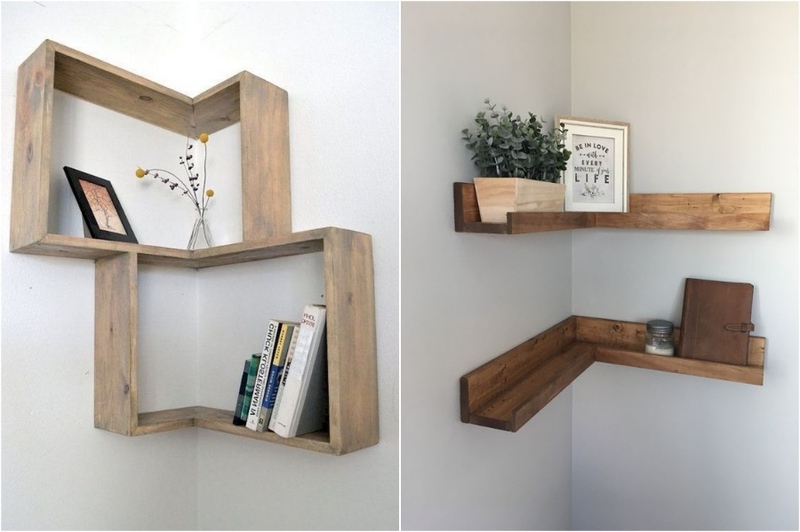 If you think you don’t have enough space to display things you’re not thinking of corners. Corner shelves can be a great way to store or display things you don’t want on the table or in your way but still want easy access to. 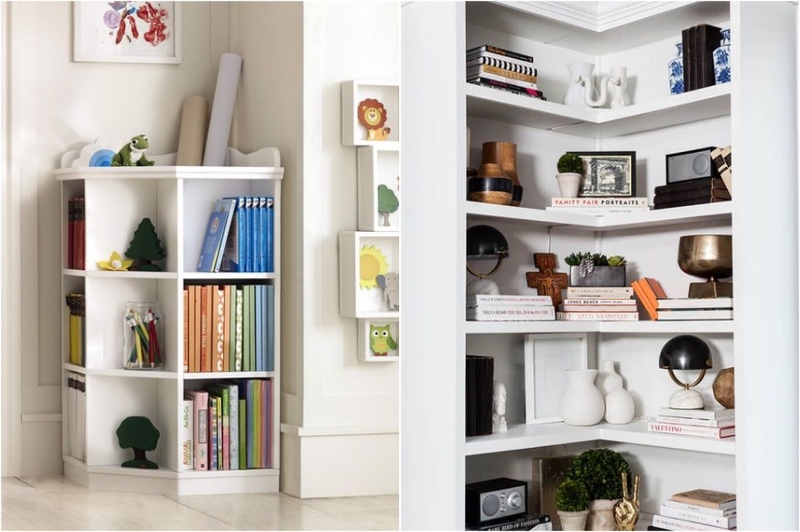 We don’t know if you know but corner bookcases exist and they’re amazing. If you have a lot of books you should definitely think about using up those corner spaces to display them. It looks way more interesting and doesn’t take up a whole wall. 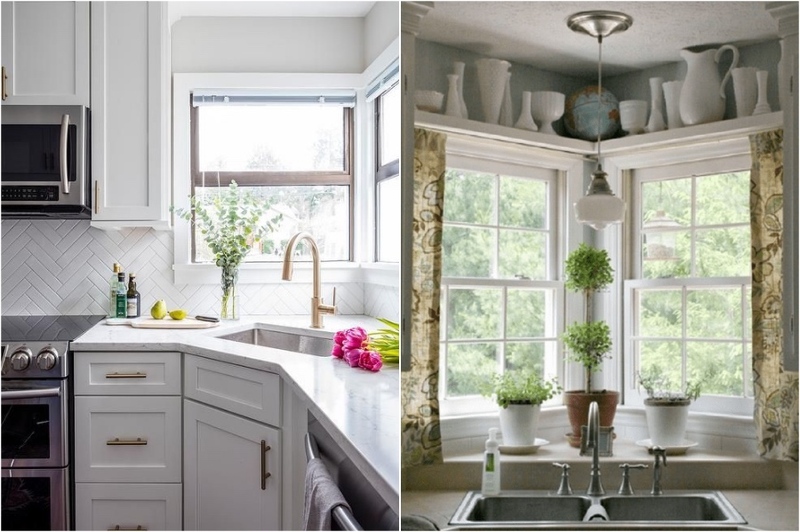 A lot of time we don’t use kitchen corners to their full potential. Using that space for a sink will make it functional and there will definitely be enough space under it for all the pipes and a garbage dispenser. You can really use up that corner space if you apply some creativity. 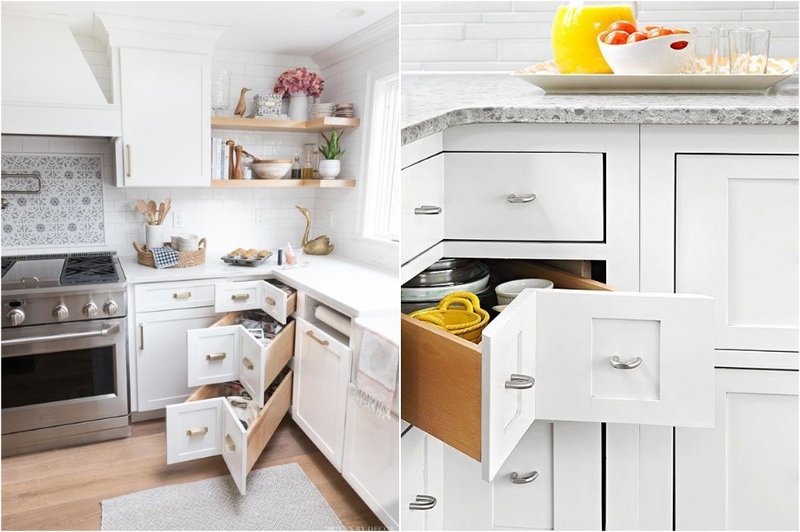 Here’s a brilliant idea on how to make corner drawers in the kitchen to store your long kitchen utensils and other things you might need. If you’re short on surface areas in the kitchen and think you don’t have enough for a coffee machine – here’s a creative solution. Just add a little shelf in the corner and you’ll have your own perfect coffee corner. 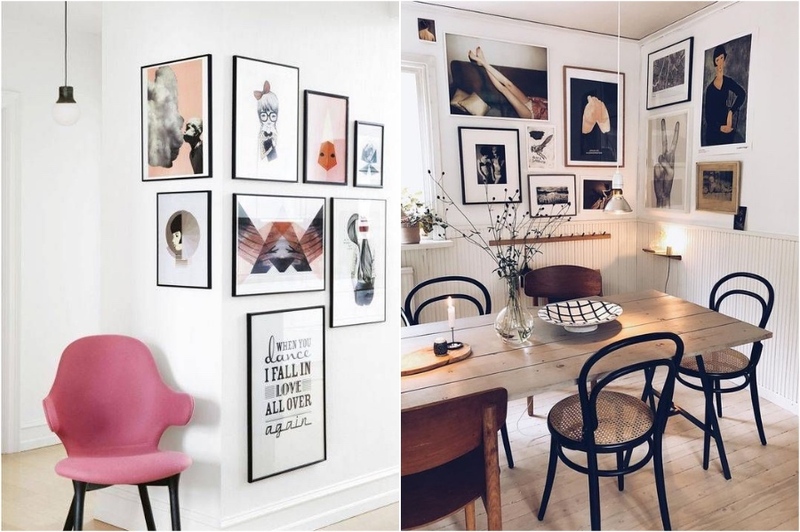 Everyone talks about gallery walls, they’re very trendy, but not all of us have enough space in our homes to dedicate an entire wall to just picture frames. However, everyone has a spare empty corner that they can use to display their photos and artworks. Lots of people choose to work remotely from home these days and if you’re one of them you should know about the importance of having a desk. 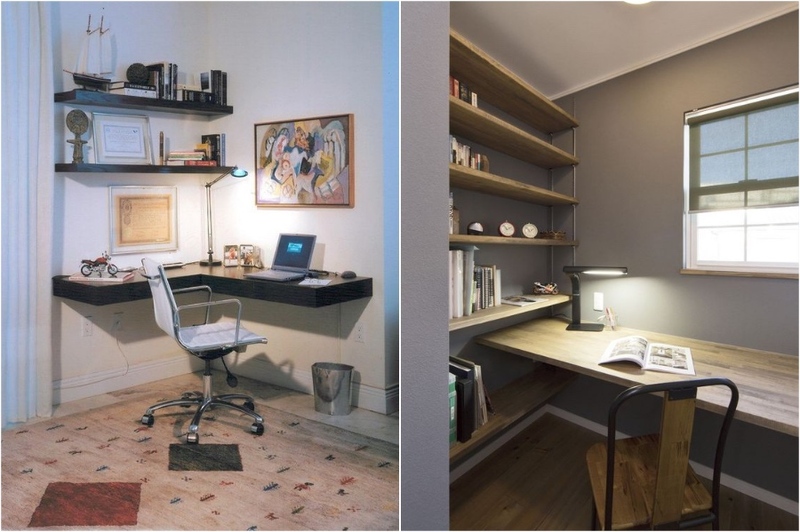 If you don’t have enough space for a desk you can always create a corner work space with a corner desk or even cleverly put up shelves. Closets don’t have to be all huge and take up half of the room. 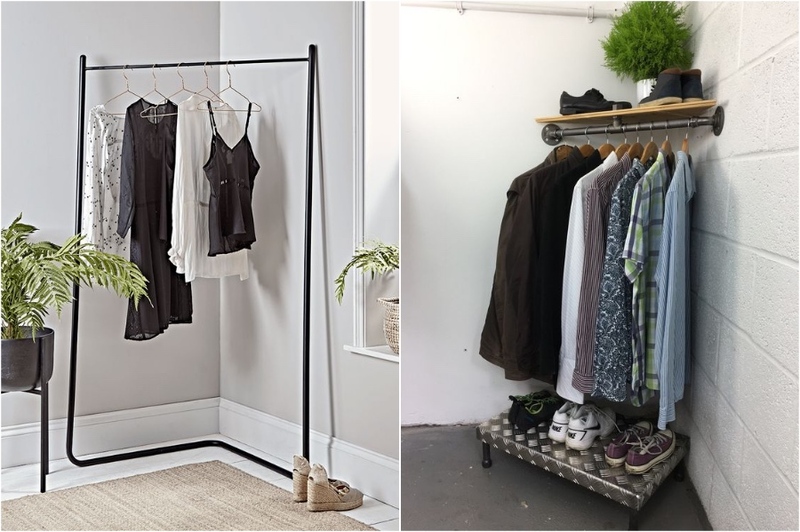 You can have a corner closet or a corner-hanging rail to store all your clothes without actually taking up that much space. That way you’ll always see your clothes, and you don’t have to close up and clutter up the space with a bug closet. Perfect solution for small one bedroom apartments. 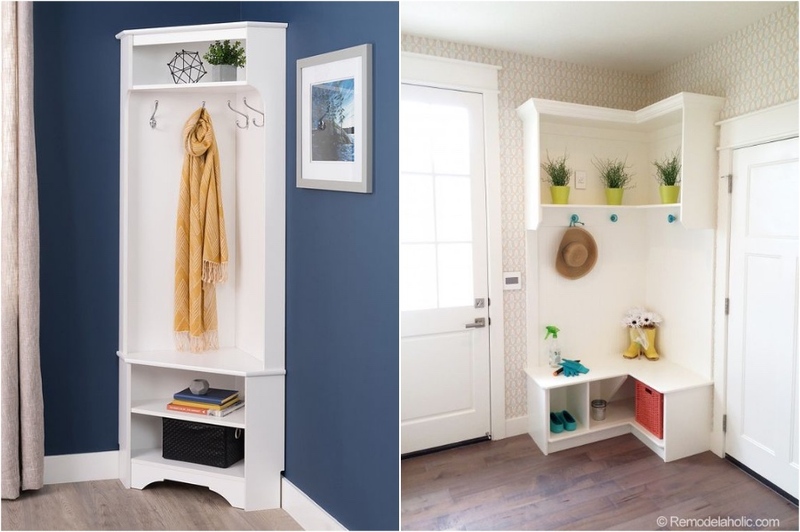 If you have an empty corner in your hallway why not transform it into a mini mudroom? You can easily use this little area to hang wet umbrellas, hand up tote bags and store shoes. 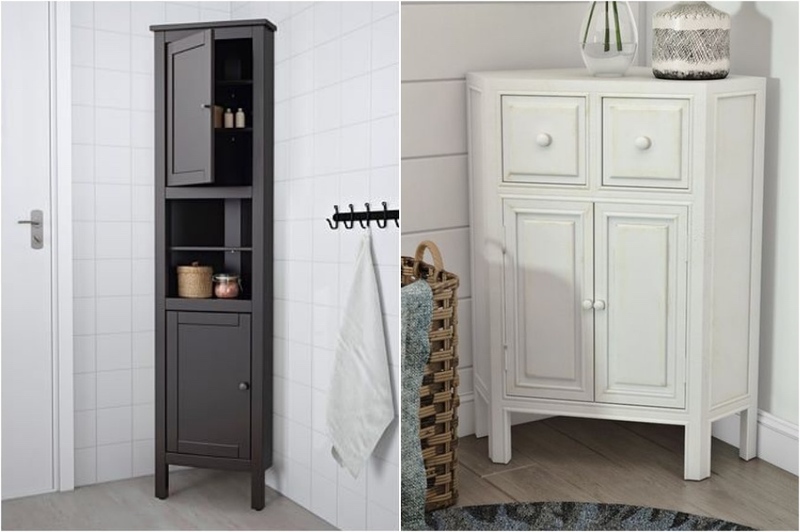 Plus having a mudroom albeit a small corner one will make your whole home cleaner. Everyone needs a little drop off station next to their front door to temporarily hold your essentials like keys, phones, wallets, etc, when you get home and are taking off your coat. And all you really need is a tiny corner and a small table to put there. A good way to add some much needed storage space to a small apartment is to use corner cabinets. They exist and come in a variety of funky designs. Seriously, check IKEA for some, they have really awesome ones.